The Australian Grand Prix will play host to the inaugural race of the 2018 Formula One World Championship season. The Melbourne round will kick off the 59th season of the Moving Circus on Sunday. The Grand Prix is currently sponsored by the Swiss watchmaker Rolex which holds the naming rights. The 2018 Australian Grand Prix will have five different support series: Wilson Security Porsche Carrera Cup, CAMS Australian GT Championship, Coates Hire Supercars Melbourne 400, Ferrari Challenge Asia-Pacific and MSS Security Ultimate Speed Comparison. The Australian GP has a long, wealthy history in Formula One. The country joined the sport in 1985 when the race was held at the Adelaide Street Circuit, in South Australia. That GP used to be the last round of the championship and hosted numerous racing memorable race, including title-decider races. The Grand Prix moved to Melbourne in 1996 and became the opening race of the championships, excluding 2006 and 2010. The Grand Prix is the oldest surviving motor racing competition in Australia which has been contested 79 times since it was first run at Philip Island in 1928. Prior to the inclusion in the F1 Championship, the GP was held at different venues like Bathurst, Lobethal, Southport, Longford, Narrogin, Lakeside, Sandown, etc. Michael Schumacher is the most successful driver over the history of the championship races. The seven-time world champion clinched the victory four times. Jenson Button is the second most successful driver with his tally of three triumphs. Sebastian Vettel, Lewis Hamilton, Kimi Räikkönen, Nico Rosberg, Alain Prost, Ayrton Senna, Gerhard Berger, Damon Hill, David Coulthard all crossed the finish line first two times. The track has a length of 5.303km, resulting in a 58-lap-long Grand Prix. The track has 16 corners, many of them are named after previous great drivers. The circuit has a stop-and-go nature due to heavy acceleration and braking zones. 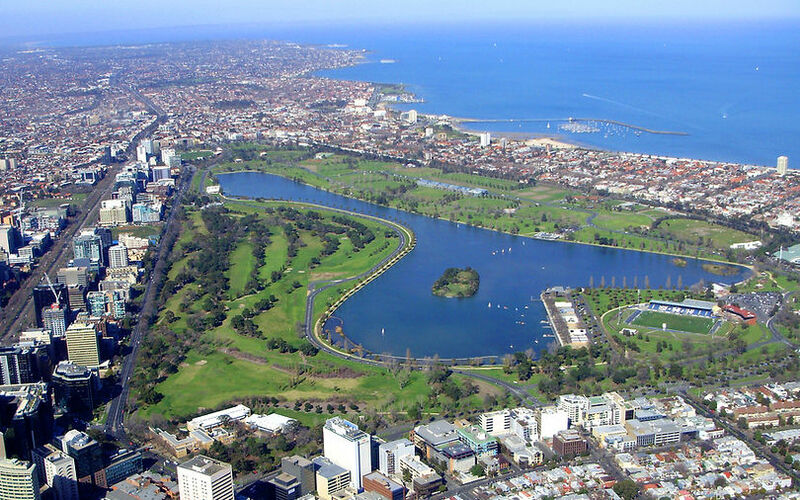 The circuit uses everyday sections of road that circle Albert Park Lake, a small man-altered lake (originally a large lagoon formed as part of the ancient Yarra River course) just south of the Central Business District of Melbourne. The road sections that are used were rebuilt prior to the inaugural event in 1996 to ensure consistency and smoothness. The actual lap record is held by Michael Schumacher who set a time of 1:24.125 in the 2014 Australian Grand Prix. Drivers spend around 64 per cent of the lap on full throttle. The heavy acceleration zones means that the fuel consumption is relatively high which could lead to the need of constant lift-and-cost technique in the race. Pirelli will supply the teams with the trio of ultrasoft-supersoft-soft compounds which should lead to predominantly two-stop strategy across the field.